SnoCountry went looking for tasty morning treats near ski and snowboard resorts, and came up with this list. 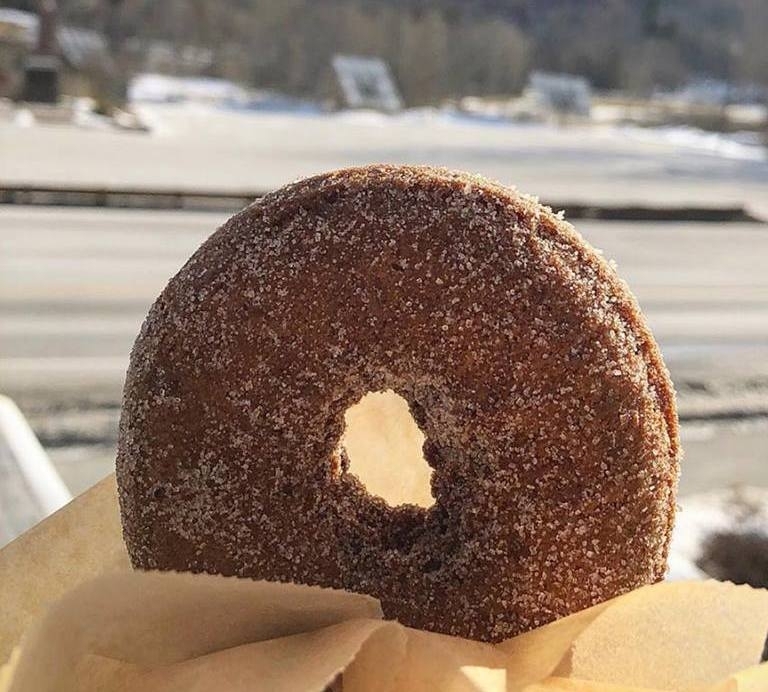 Just before you hit the parking lot at Killington, stop at SunUp Bakery where everything has a Green Mountain edge. Long list of locally sourced breakfast sandwiches, plus to-die-for cider doughnuts set up the day. A day at Cranmore begins best with Old Village Bakery in downtown North Conway. Check out cinnamon rolls and English Toasting bread. No shortage of chocolate-y items either. In the morning, downtown Telluride arises at The Butcher & The Baker Cafe. For the health-concious, savory or sweet porridge bowls hit the spot. English muffins are homemade, and breakfast sandwiches can be had on the run. After fighting traffic, the Butterhorn Bakery & Cafe in Frisco, Colo., is a calming influence. One of few bakeries with a liquor license, bloody marys and mimosas will do the trick – or fire up with the Nitro Cold Brew Coffee before hittin' it at Breckenridge or Copper. Dive into the oven-baked oatmeal at Flight of Fancy near Tamarack Resort for something truly unique. Alternately, Huckleberry Almond croissants and espresso get you ready to pound the slopes on the western Idaho mountain. At The Sparrow Bakery in Bend, Ore, the homemade baguettes come with a warning: Best eaten on day of purchase. Same with croissants, meaning can't get any fresher breads anywhere before heading up to Mt. Bachelor. A half-dozen world-class resorts are just outside Salt Lake City. Many who stay in the city have found Les Madeleines as the best start to the skiing day. Specialty: Kouign-amman, a buttery Breton cake. French flair can be found throughout the menu, especially the crepes.